At Aintree Boats, our primary purpose is to provide our much valued clients with hand crafted, high quality, high value boats which they will be both proud of and delighted to own. We are located in large, modern, bright and practical premises only a mile from the home of the Grand National steeplechase, Aintree Racecourse, with excellent road links to the M57 and M58 motorways. Our directors have scoured the market and have carefully chosen the best suppliers, not just on price but also on reputation and reliability. We firmly believe that good quality suppliers are an integral part of any successful company. We have a reliable team of highly skilled tradesmen with over 100 years of boat building experience between them. This reliable workforce of welders, joiners and painters ensures the highest possible quality in our build process. The very high quality interior fit out is hand crafted by our top class joiners and individually cut to size in our own woodwork machine shop, also based in our premises. We use the finest hardwoods and customers can make a personal choice of interior and exterior finishes and of course if you desire anything else we will go out of our way to please you and satisfy your request. This is a very impressive boat … the price is very reasonable by today’s standards. The steelwork in particular has the look of something much more expensive, thanks to its pretty bow and excellent finish. … exactly what you want for worry-free cruising, because there’s nothing unusual to go wrong, and any boatyard could work on it. The fitout also has a lot going for it: it’s attractive, solidly put together, and has a look of something which could cost a lot more. Located only a mile from the home of the Grand National, we have excellent road links to the M57 and M58 motorways. This allows us to deliver our boats nationwide, giving you access to quality wherever you are. A well managed, professional and generally amazing company. 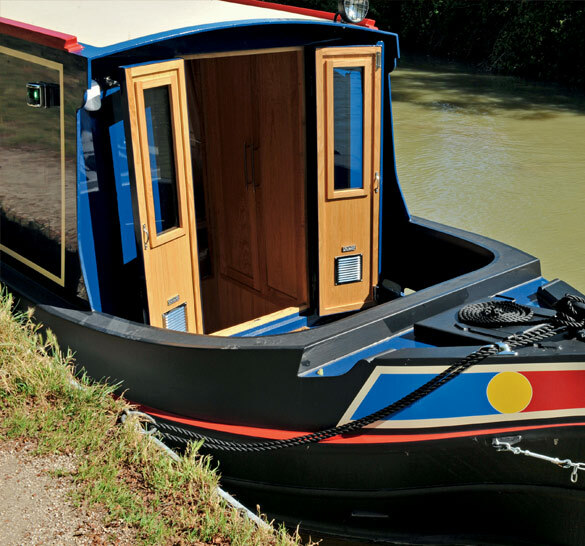 We are so happy with our narrow boat built by Aintree Boat Company and wouldn't hesitate to recommend. Many thanks to everyone at Aintree boats. We are delighted with our semi trad. The shell is excellent quality and they are a great company to deal with from start to finish. At Aintree Boats we want to provide you with hand crafted, high quality, high value boats which you will be both proud of and delighted to own. If you’re interested in our boats, requesting a quote is really simple. Just fill in our form with a few details and we’ll get back to you with a quote tailored to you.